Hudson, Ohio Business Consultants providing all aspects of consulting, coaching and advice for business owners and entrepreneurs. Valente Law offers business consulting services to business owners and entrepreneurs in and around Hudson, Ohio, Cleveland, Ohio and Akron, Ohio. Our headquarters are located at 77 Milford Dr., Suite 226, Hudson, OH 44236. And as a Hudson, OH business consultant firm, we commonly work with business in the larger Cleveland, OH and Akron, OH regions. Business Consulting Services that we proved include helping start-ups, working with growing businesses, and helping business prepare for sale. We can also handle bookkeeping, accounting and other finance related aspects of business management. With a great team of partners specializing in nearly every area of business, from accounting to construction managers, we have a team that is ready and able to assist our business owner clients. Unlike most business consultants, we can actually handle all the legal in-house. This means much cheaper costs to our business owner clients. No other Hudson, Ohio Business Consultants that we know can offer this. We draft all necessary corporate formation documents, and this can include Articles of Organization or Incorporation, Bylaws, Code of Regulations, Corporate Meeting Minutes, Corporate Resolutions and much more. Ensuring you have the proper licenses and permits to, we help take care of all the legal aspects of starting a business. Additionally, we handle other non-legal aspects of start-up business consulting. This may include writing a business plan, assisting in securing financing, making connections with potential customers, suppliers or other partners. Setting up business systems so that the business can be easily and efficiently managed. We can also help business owners with their accounting and finances. While we don’t take the place of an accountant, we can supplement their services and help set up accounting systems. We can help review financial statements and always try to reduce taxes whenever possible. Our team of experience Hudson, Ohio Business Consultants include other professionals in the area that focus on certain specific areas of business, like accountants, financial advisors, insurance agents. One of the most overlooked aspects of business management is succession planning. Succession planning includes planning for the eventual sale of the business. We can help improve the value of the business and its attractiveness to potential buyers. Our business succession consulting services include the following: securing intellectual property (trademarks, copyrights, patents, etc. ), executing employment agreements with key employees, extend contracts with customers, reduce corporate waste, etc. We can also help partners in a small business plan for the potential situation where one buys the other out, or what happens upon their death. These matters should be addressed in Buy-Sell Agreement. One great resource for business owners is the Hudson Chamber of Commerce . Hudson is a great city to do business in, with over 22,000 residents and one of the highest average household income within Ohio, Hudson has much to offer. Hudson, is a city South of Cleveland, Ohio, and North of Akron, Ohio, basically right between these 2 big markets. 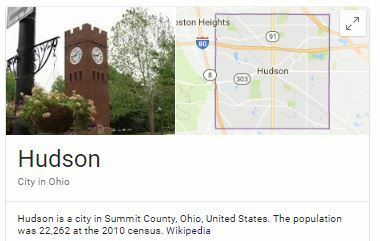 Akron and Hudson are in Summit County, Ohio. Valente Law’s main office is in Hudson, Ohio and we are currently accepting new business owner and entrepreneur clients. Our main office in Hudson is located at 77 Milford Dr., Suite 226, Hudson, OH 44236. Please do not hesitate to contact us with any questions! We offer free consultations for all new business owner and entrepreneur clients. We would appreciate the opportunity to work with you and help you achieve your business goals. Call us today at (330) 665-5000!